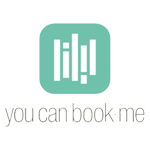 Veribook is an appointment scheduling software that offers users with a cloud-based booking system. Its features include 24/7 flexible scheduling, integrated messaging, automated reminders, calendar sync, online payments, customizable forms, and more. We compiled Veribook user reviews from around the web and determined that it has generally positive ratings. We also shared its available pricing options. Users who recommended Veribook said that its booking system is highly customizable and that it can accommodate even the most specific business processes. Most of them also mentioned that Veribook has a great and responsive customer service team. There weren’t a lot of negative reviews about Veribook. However, some users experienced rare glitches in the system when inputting their working hours, causing conflict among staff member assignments. They also recommended adding more functional features to cover customization of designs. A user who left a positive review on Capterra said that Veribook has an intuitive and user-friendly interface. He also said that the software delivers customizable booking solutions that adapt to their business’ needs. According to him, Veribook efficiently enables users to manage bookings including rescheduled and cancelled appointments. A user who left a negative review on Capterra said that he finds Veribook’s reporting features very limited. He also said that there’s a need to expands its customization features to include more designs. Veribook has three subscription plans: Individual Professionals ($14.99/month), Small Business ($34.99/month), and Enterprise (customized pricing). The main difference between the plans is the number of staff member allocation. Check out the list below of some of Veribook’s features. Instead of a free trial, interested users may schedule for a demo instead. How does Veribook help reduce no-shows? Veribook allows users to automate sending of customized confirmations and notifications, which helps reduce no-shows by ensuring that customers are reminded of their appointments. How does Veribook eliminate double-bookings? Veribook helps eliminate double-bookings by allowing users to customize their working hours based on existing appointments and events. The system will only publish slots that are available for appointments. What type of businesses or professions can make use of the Veribook software? Veribook can be used by individual professionals such as doctors, teachers, and professors. It also caters to businesses like fitness studios, sales agencies, call centers, healthcare facilities, and more. This video provides an overview of how the Veribook system works to improve a business’ appointment scheduling process. 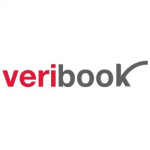 Not sure if Veribook is the right fit for you? Read our reviews of all top appointment scheduling software or check out one of these three Veribook alternatives. Communicate. All through the setup process and any necessary changes throughout the years, Keith has been stellar at getting back to me promptly and actively assisting in providing solutions. I have no complaints. Our organization has used this service for many years without a hitch, and I have recommended Veribook to many other organizations. I wish I had found them sooner than I did.